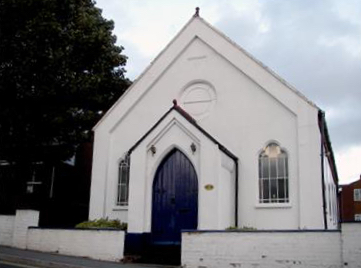 Kingsmead Baptist Church meets in the old Wesleyan chapel at Hilltop in Hednesford. This is a historic place where the founder of the Methodist Church, John Wesley, used to preach long ago. At one time, Wesley traveled every fortnight to Manchester, and on his journey, he would stop at Cross Keys coach station. After awhile, he asked himself why he wasn't doing any preaching there, especially since he came there so often. He then started preaching under a large tree outside the coach station. Soon after, a wooden hut was erected on Hilltop to keep Wesley and his listeners dry from wind and rain. In 1890, the shed was torn down and on the very same premises there was built a chapel. This chapel has now become known as Kingsmead Baptist Church. The mission of Kingsmead Baptist Church is to build relationships that will draw others to Christ, to encourage spiritual growth, to equip all for service, and to motivate and facilitate each for ministry to the glory of Jesus Christ.